Seed Cleaner- The Cantrell Model 199 and 299 Cottenseed Cleaner is a complete unit designed to effectively remove foreign material from white cottonseed. Putting quality into the entire process. Oilseed processors demand quality and expect dependable equipment. Cantrell International demands dependability in each piece of equipment manufactured for the oilseed processing industry. The Cantrell Model 199 and 299 Cottenseed Cleaner is a complete unit designed to effectively remove foreign material from white cottonseed. Cottonseed cleaned through these machines produce cleaner lint, higher cellulose content and allows for better delinting and dehulling (decorticating). 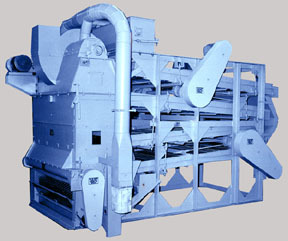 The Model 199 and 299 Cottonseed Cleaners are designed with 60" wide trays. 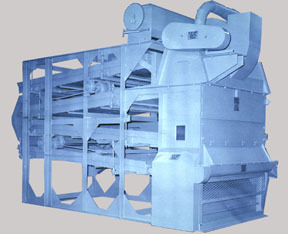 The Model 199 has a daily nominal capacity of 30-50 tons per day. 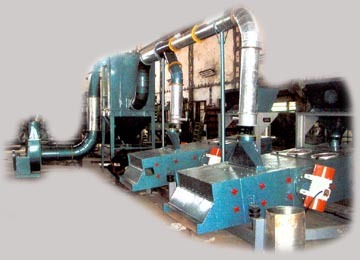 The Model 299 has a nominal capacity of 75-100 tons per day. 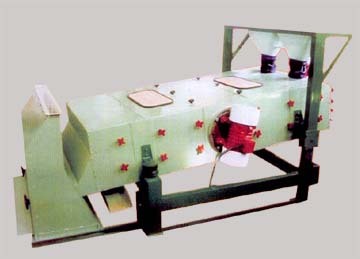 Capacities on either Model will depend on lint content and the type of cottonseed, for instance, stripped or picked cotton will each affect the machines differently. 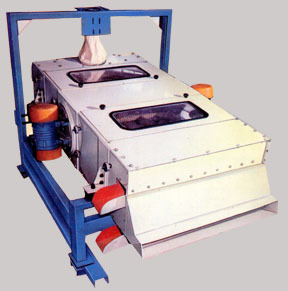 The Model 199 2-tray cleaner can be converted to a 4-tray cleaner for added capacity and cleaning efficiency. Cantrell International can provide detailed conversion information upon your request. Inquire today and find out how Cantrell International can assist in increasing your company's profits through dependable, efficient, rugged equipment with service to match.